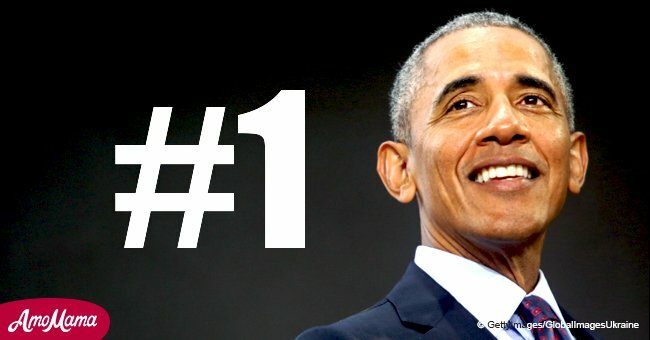 The children and staff at the Washington D.C Children’s National hospital were in for a treat on Wednesday when former President Barack Obama surprised them with a visit. The 44th president was seen wearing a Santa hat and casual clothes as he slung a red bag over his shoulder to go door-to-door to greet the ill children. 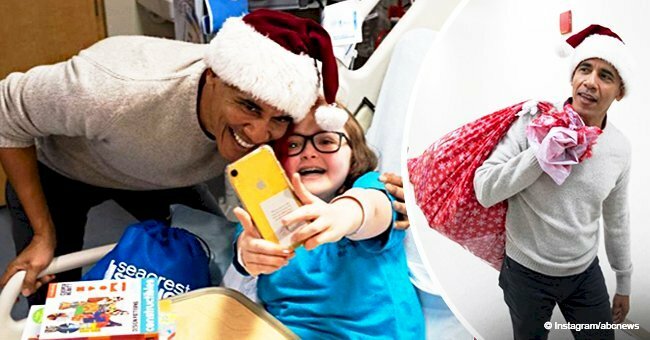 Former President Barack Obama, 57, surprised the Children’s National hospital by playing Santa. 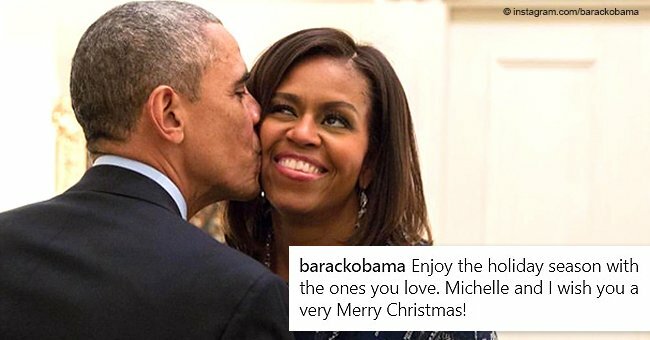 Spreading the festive cheer, Obama wore a red Santa hat and carried a big red and white bag which he slung over his shoulder. He’d brought along jigsaw puzzles, toy car sets, remote-control cars, glittery nail polish, and other gifts for the ill children. At one point, the former president did a little dance for one of the patients. For more on this story go to our Twitter account @amomama_usa. Obama also made time to make a speech at the hospital during his hour-and-a-half visit. Obama, who is the father of two, visited with children in one of the playrooms where they were working on art projects. A video was recorded of that moment and it was later shared with the patients he was unable to meet. Later in the day, the former president tweeted his gratitude to the hospital staff, patients, and visitors for humoring him as their “stand-in Santa.” Katriel Levin, 12, and her mother were in the middle of a UNO game when Obama surprised them by coming into their room. Levin was overwhelmed with tears of joy and received a puzzle from the former president. Obama informed the child that his grandmother liked to do puzzles. Carter Smith, 4, was also lucky enough to get a visit from the former president. He received an Avengers set and took a while to see who was delivering the toy because of his excitement. 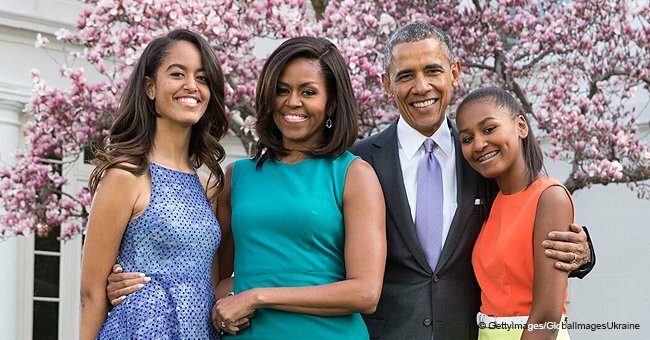 The hospital is the same one that his wife, Michelle Obama, visited annually when she was the first lady. The current first lady, Melania Trump also visited the children recently to spread the Christmas spirit. 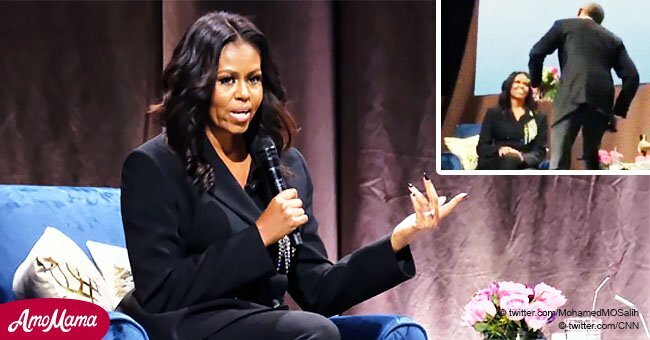 Obama and his wife have made youth organizations and children a priority with the Obama Foundation. They’ve also made such appearances a priority even after they left the presidency. Despite not being the president anymore, Obama is still quite vocal around the world. This year he had a Nelson Mandela lecture which was attended by the world's media and an audience of around 15,000 people. The event was held in South Africa's main city, Johannesburg.